This was one of the most challenging commissions yet. 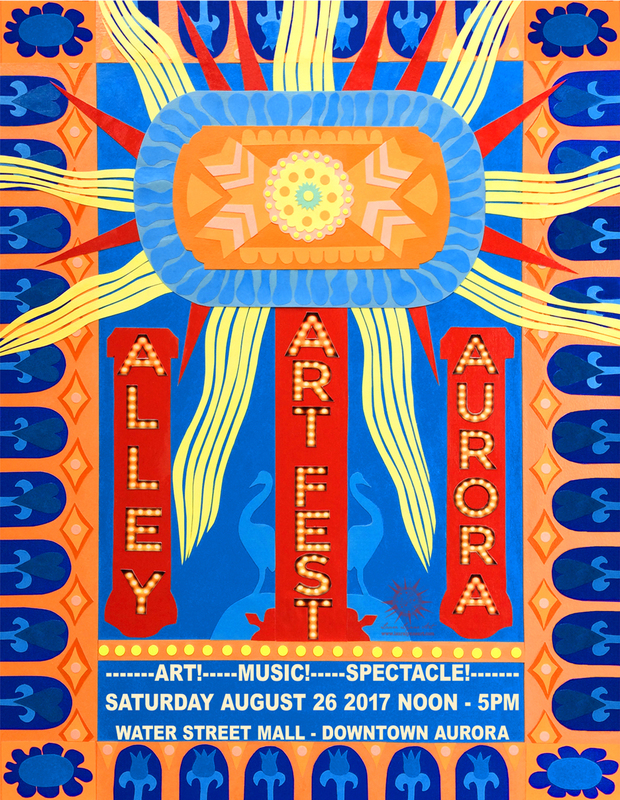 Honestly, I got a bit of artist’s block at first, mainly due to thinking of all of the amazing Alley Art Fest posters of the past. I had a very tough act to follow doing a poster after artists like Chris Hodge (@chodgeart), Joanna Goss (@jowayseeker), Jaime Torraco (@kittensofindustry), and Don Picton (@friendprices)! The poster by Kittens of Industry last year, I felt, perfectly illustrated the bohemian charm of Aurora’s grassroots art fair. It’s been so great to meet and learn from the artists in my community. I’m so grateful to have met so many talented people! Thank you so much, Marissa Amoni, for asking me to do the poster for this year’s event! Have Laura Lynne Art design your next gig poster. Message me here for pricing and package information.